If you are not attending shows during the winter, now is a great time to take care of some projects around the garage. The handful of items that I am talking about here are getting heavy usage in our studio (and my garage). The Rolling Garage Stool is one of our new edition to the California Car Cover garage seating collection. This extra wide stool raises up to 22" and the extra wide base provides plenty of support and storage space. 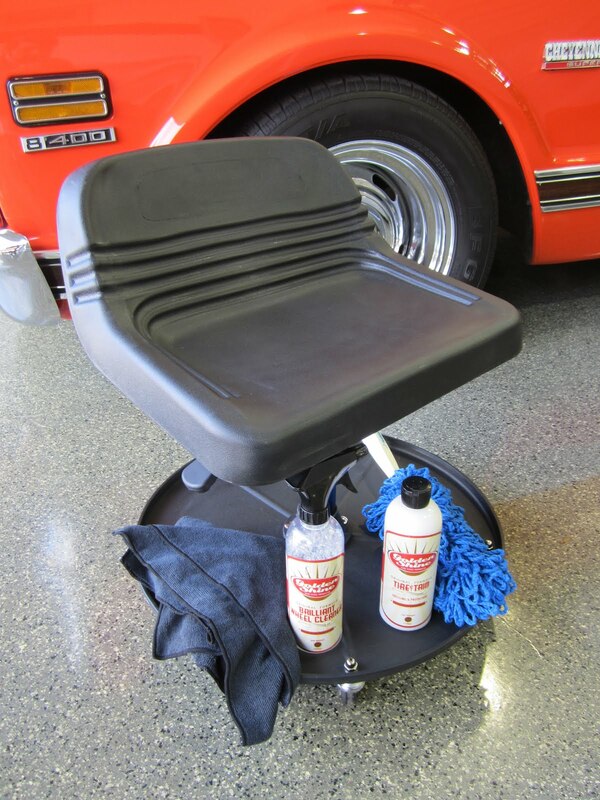 The stool is great for use when cleaning your wheels. You can get more details on the stool on our website and watch a short video as well. 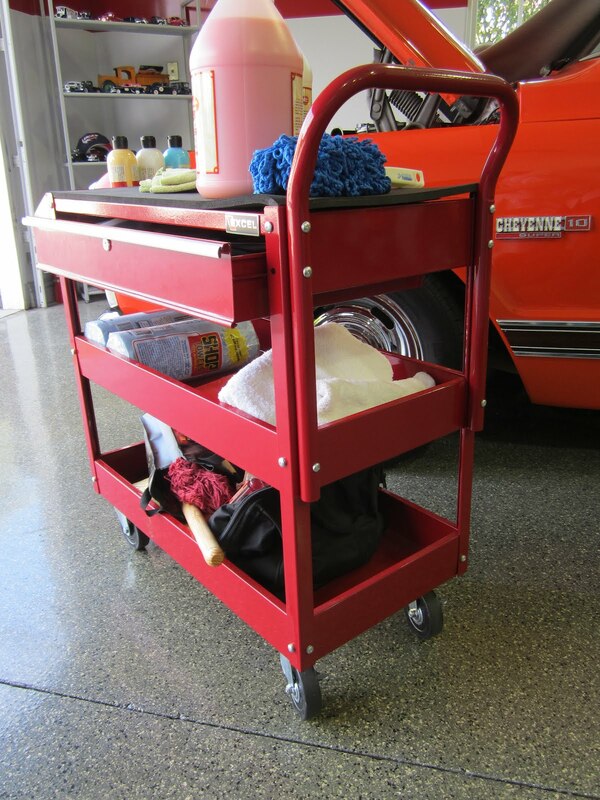 The Rolling Detail Cart keeps all your most used tools or products nearby. Often garage carts are made with a plastic frame and shelving. This Excel cart features sturdy steel construction with heavy duty casters and a lockable drawer. 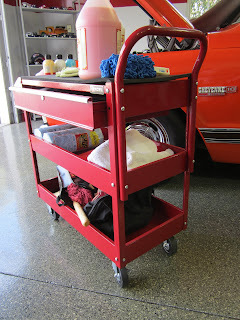 I keep detailing products on the cart so I can I simply roll the cart outside when it is time to wash my vehicle. There is plenty of space for towels and applicators on the open shelves. 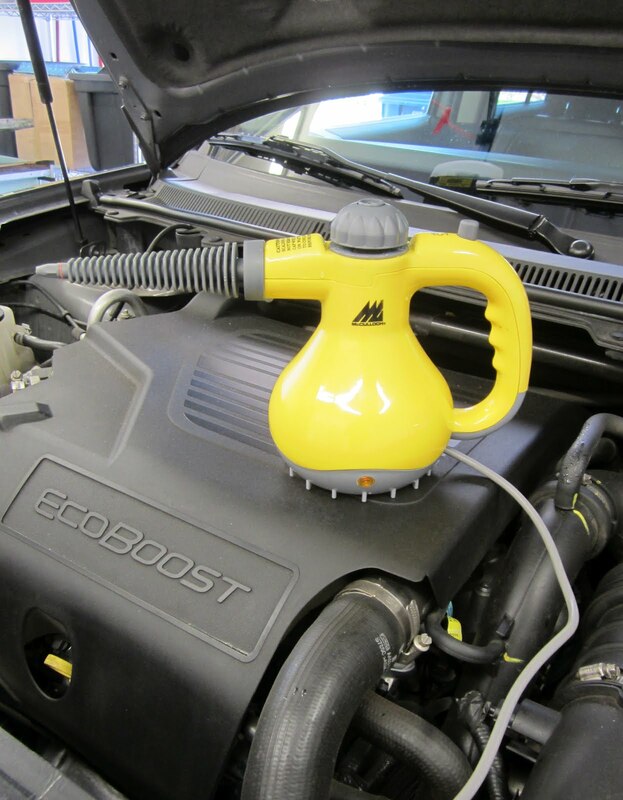 The McCulloch Steamer is a compact and powerful steam cleaner for home and automotive use. 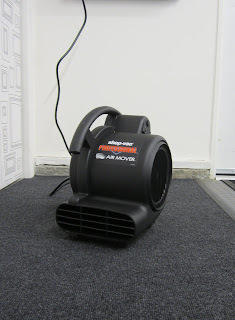 I had not used this steamer before our video shoot and I was definitely impressed with its performance. The steamer has plenty of attachments to make it a versatile item around the house. After you fill up the reservoir the steamer is ready in a few minutes to steam and scrub just about any hard surface. I used the brush attachments to clean bolts and grimy surfaces under the hood. The squeegee attachment is great for steam cleaning glass and shower doors. I used the cotton bonnet to clean the bathroom counter tops. You can see video of the steamer in action on its product page. 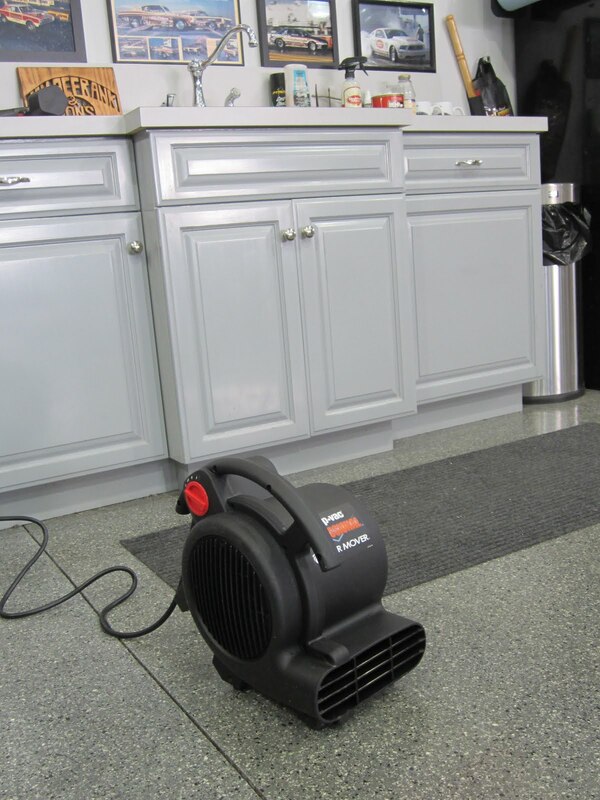 The Shop-Vac Air Mover does a great job of drying floors and carpet. A good item to have around if you ever mop your garage floor or have tile or rubber garage flooring that does not absorb water. We use it in our studio and warehouse to clean up after product demonstrations. I even use the Air Mover in my kitchen. It helps dry the stone floors after mopping. Yes, I even mop around my house. The Air Mover helps dry carpet too. 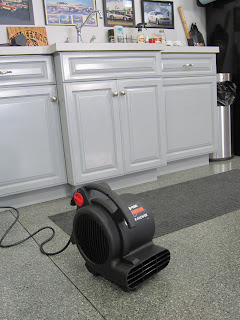 So next time you have to clean or shampoo a rug or carpet, pull out the Air Mover. Check back often as I will be testing and reviewing many of the items found on our website. All of these items are available from the California Car Cover website or phone department at (800) 423-5525. You can view videos of all of them in use on our You Tube Channel as well.